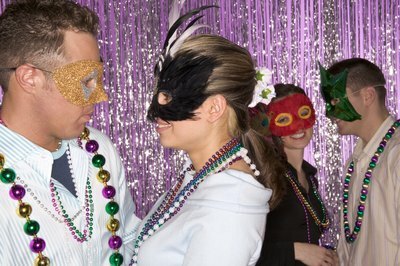 A masquerade ball is a great idea for a sweet sixteen birthday party, Valentine's Day dance or prom. 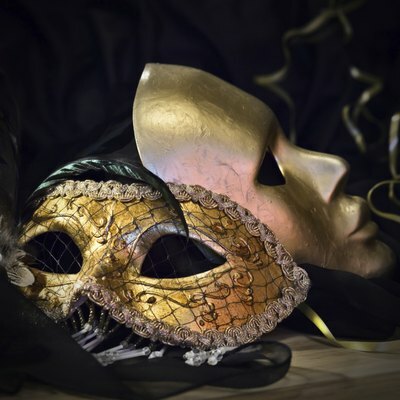 Masquerade parties give everyone a chance to dress up, look elegant and go all out to find the most fabulous mask, not to mention the flirtatious fun of hiding behind a mask and stepping outside of your own personality for an evening. 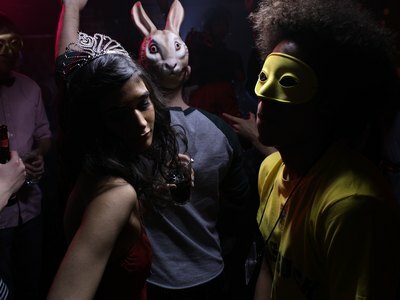 Who knows what you'll discover about yourself and the other guests at a masquerade party. There are all kinds of dress possibilities for a masquerade theme party. You can have everyone come in formal or “prom” attire, with tuxedos for guys and gowns for girls. If there are any further specifications, make sure you mention them on the invitations. For example, you might also want to have a specific theme for the masquerade, such as eighteenth century French aristocrat (think Marie Antoinette), Victorian, or Mardi Gras. A general theme gives guests the most options in terms of masks and allows them to find masks easily from costume or party stores. On the other hand, period and Mardi Gras costumes are a lot of fun and give you the opportunity for a best costume contest. If it will take your guests a while to locate costumes or put them together from thrift store finds, make sure you send out the invitations early enough that they will have time. 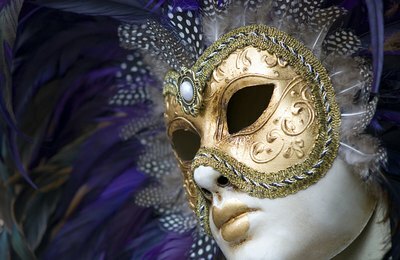 To host a masquerade ball in your home you will need to create an aura of luxury and decadence. Cover up modern items, like the TV, with gold or purple crushed velvet fabric from the discount fabric or thrift store. Suggest opulence inexpensively by selecting a color scheme from black, white, silver and gold for balloons, streamers, candles and paper napkins, cups and plates. Scatter peacock feathers around or set them in vases. Hang additional beautiful masks for further decoration. Other themes will call for different decorations, such as purple, green and gold balloons and streamers for a Mardi Gras masquerade, so do some research into the background of the era or type of party you want to represent to make decoration decisions. The main activity of a masked ball will be dancing. Some ballroom dancing lessons would make a good gift for the birthday celebrant in preparation for the party. Include fun activities that make use of the themes of playacting and disguise. Have a skit game where guests divide into two groups, one to write the scripts that the other group must perform. The scripts can include silly directions, such as making the actors walk backwards. You can turn the skit into a movie if someone brings a video camera, which will also serve as a fun party memento. Charades will work too, and Truth or Dare fits with the idea of deception and intrigue. Guests may prove both more truthful and more daring behind the safety of a mask. Party411: Sweet 16 Mardi Gras Theme Party!